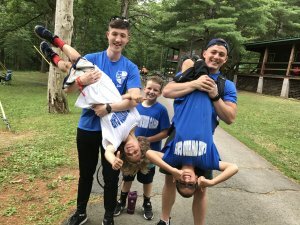 Wear your Lake Owego Camp shirts from this and past summers! 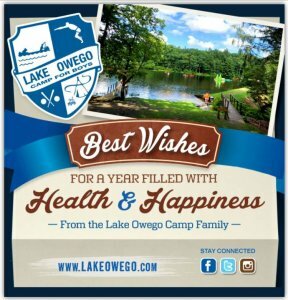 And don’t forget to follow us: @lakeowegocamp! My name is not yet lucky enough to be up there next to the Owego legends of the past. However, my future will look something like this. I will start in Boone, and after four years in Pioneer Village, playing Canjam, Nock-Hockey, Fox and Hounds, and Air Raid, I will then make my move up to the Ridge. Three more years of living in a bunk, some easier than others, will lead to me being up on this stage telling my Old-Timers story. I will then return for my tent summer, leading Friday Night chants, Tent Time, going on the Grand Owegan, 100 Miler, and Jetboating in Montreal. I will cheer for my tent brothers during Olympics and Frontier Week, secretly or not so secretly wanting my name on the plaque. I will then come back for my 11th grade summer, go to Costa Rica, and begin my transition to following the path of many ex-campers of years past to becoming a counselor. Then, after a summer of being a counselor, my name will be cemented in Lake Owego history. I realize that my road to getting on the porch won’t be easy. Sure, most days will be filled with sun, rec swim, and chilling in a hammock, but I also realize that my friendships will be challenged, however, I am ready for that challenge. 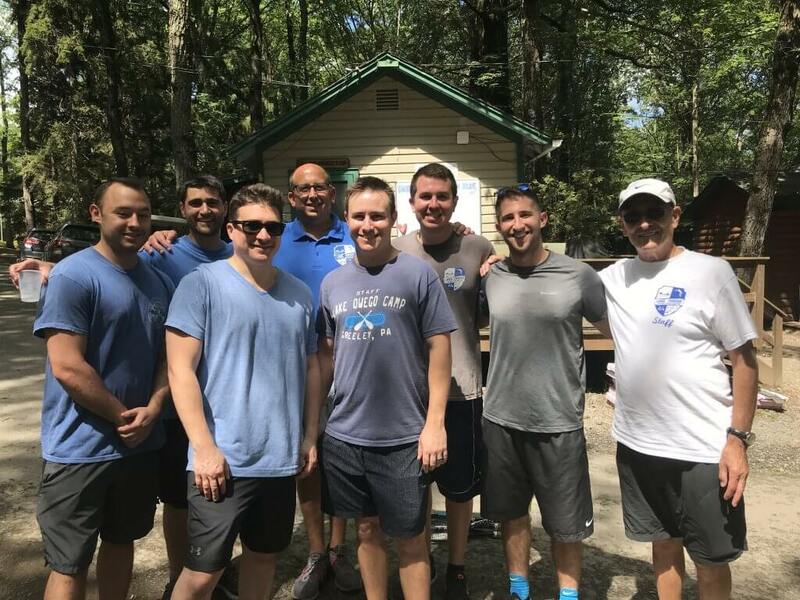 I am also well aware, that my journey might be more similar to Bill Robinson, Tom Jacoby, Shelly Silver, Bill South, Scotty Myers, Andy Ruddick Phil Smith, and Dave Hannah, where I never spend a day as a camper here but, dedicate my summers to working at Owego. Whatever my path is to the ten year porch, I know I will need help. Whether it’s a shoulder to lean and cry on, a hand to help me up when I fall, forgiveness for making a mistake, like throwing a rock at a toilet bowl and smashing it, in the shower house, and guidance when I am feeling homesick, please be there for me. In return, I promise to uphold the traditions of Owego, stay true to the Blue and White, and never, ever, I mean, never, ever, let this place change. Finally, and most importantly, I will always look after the new camper. I will help to pass down the lessons I learned, and make sure they realize how special this camp is. In order to do this, I will make sure to stand a bit closer to them at a campfire, and just the mere proximity to me, they will feel the energy and passion I have for this place. Three Days of incredible adventure for our Tents. 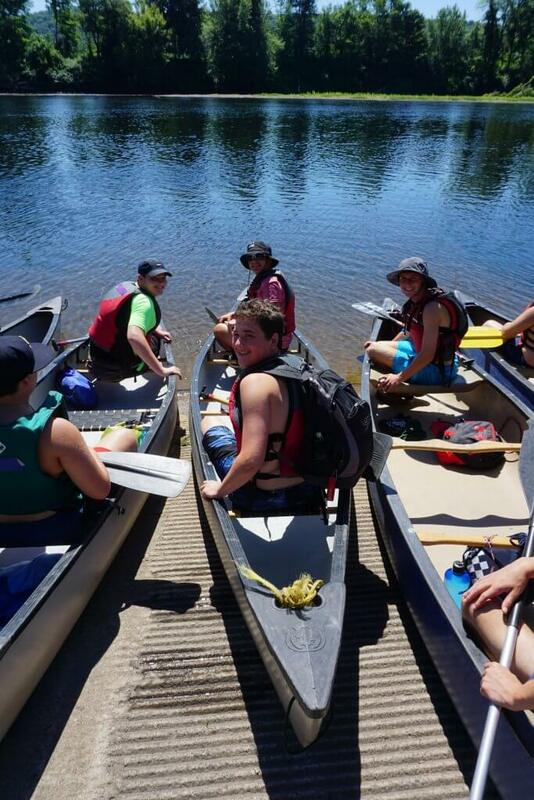 They have waited their whole LOC lives to embark on this trip that includes canoeing, camping, climbing and hiking. 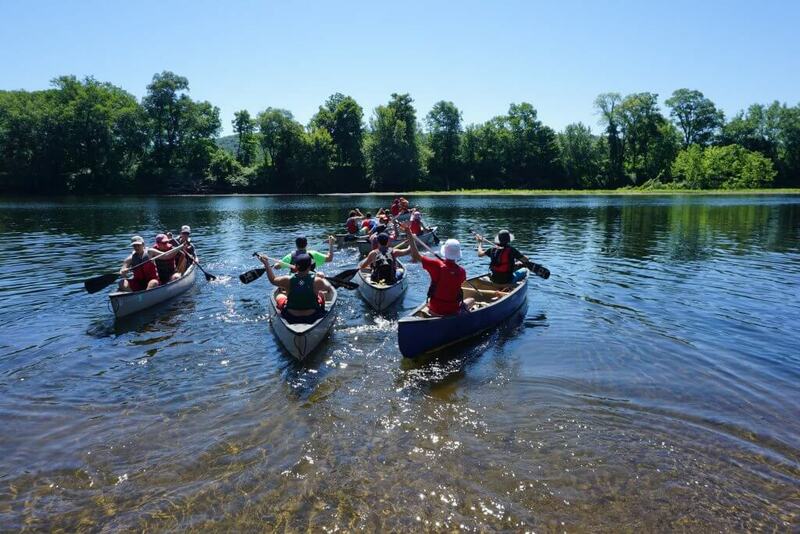 They were once three separate bunks and now they combine and bond into one, on this unique journey…”Only at Owego” Enjoy these photos as they launch off! Have fun boys, ahem…MEN! We Cleaned up the the Pine Forest Tennis Tournament yesterday! Taking the Championship wins were Jonah Berger in 12U Singles and Ben Kotzen in 14U Singles! Benedict Tessler and Ryan Horowitz in 12U Doubles! 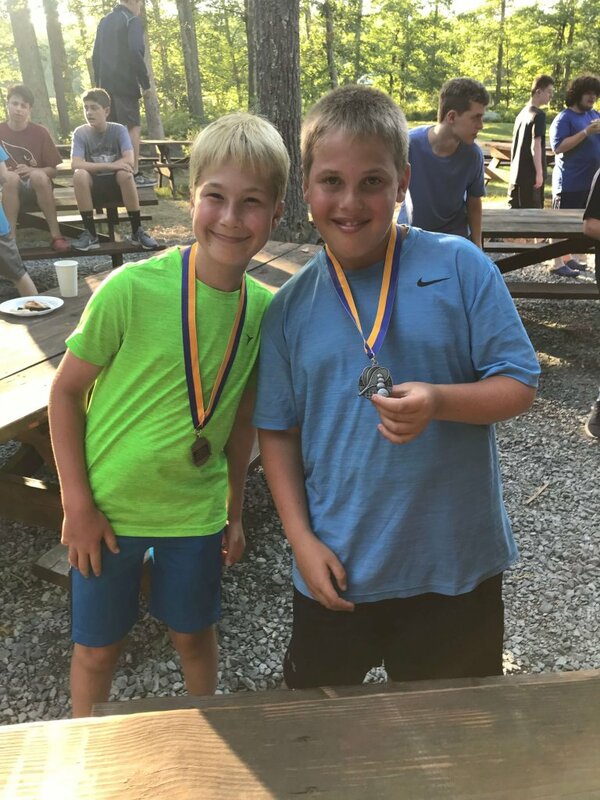 Runners Up included Oliver Carotenuto and Nicholas Levin in 10U Doubles! Hunter Smolowitz and Crosby Johnson in 12U Doubles (way to go Owego in 1 & 2 spots!)! Rom Fradkin and Ryan Boswell in 14U doubles! Jose Garriga and Max Lederer in 16U Doubles! Seriously amazing job by all players in the craaaaazy heat! WAY TO GO OWEGO!!! HELLO! on a beautiful summer day at Owego. 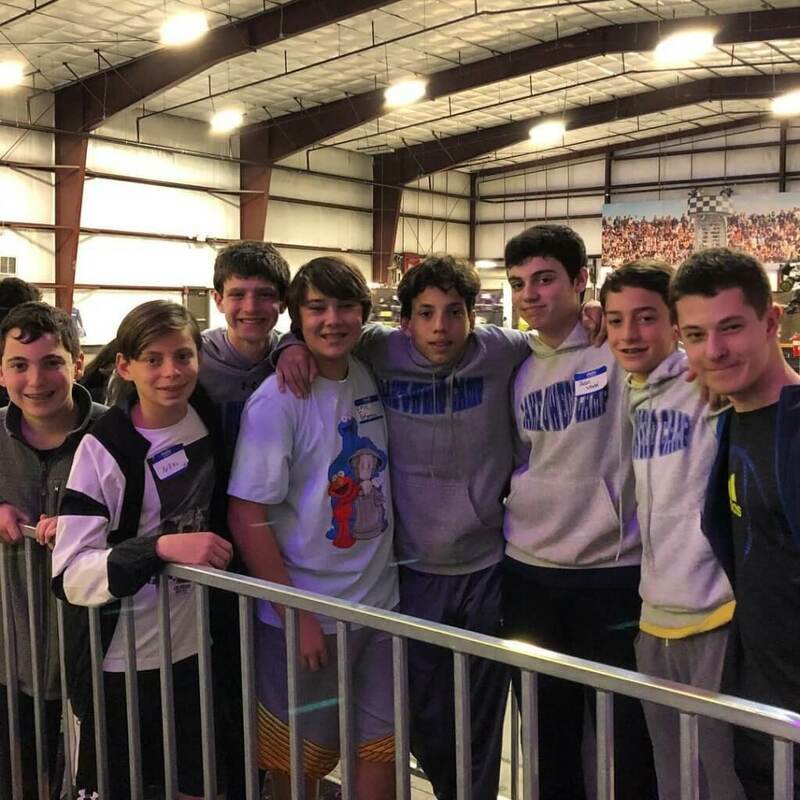 U15 basketball, soccer and ultimate frisbee, and our U13s in basketball and soccer. 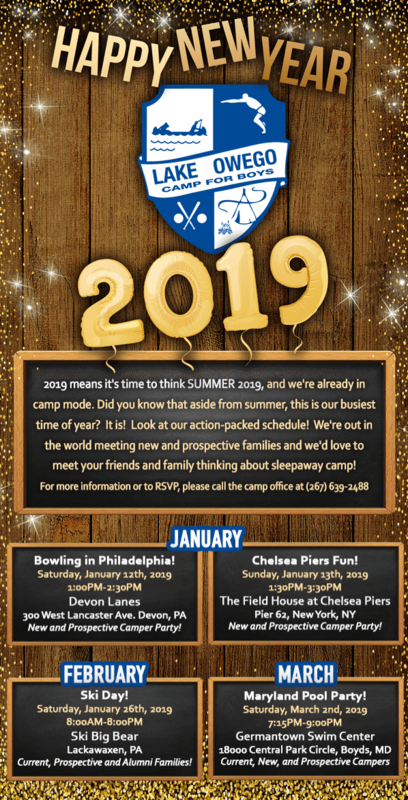 Bunk Chippewa headed out on a canoe trip on the Delaware river and Bunk Clark had their overnight- we LOVE overnights! Lake Wallenpaupack was the spot for our 1st ever Creative Arts Trip with Kurt. They drew the beautiful scenery of the lake, boats and mountains. Top Cooks headed out to Henning’s restaurant for lunch and a lesson in the workings of a real restaurant kitchen. 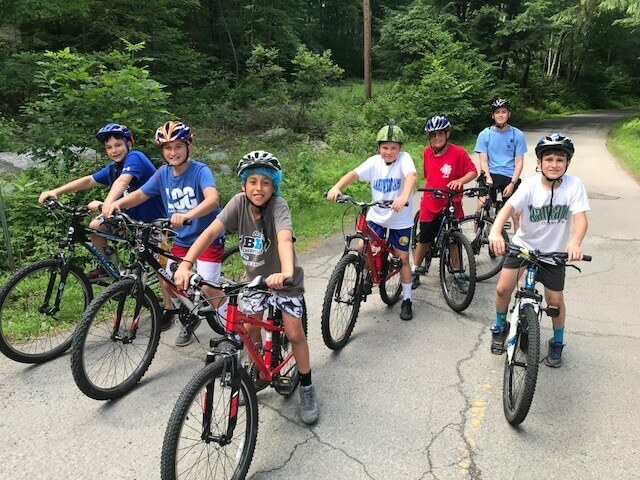 Freedo took some of our Juniors to Promised Land Park for a Mountain Bike trip. Every weekday we take 2 trips out to Lake Wally for Waterskiing,Tubing and Wake Boarding. Whew! that’s all in one day! Today we said farewell to our 11th graders as they head to Costa Rica Trip for our leadership program. 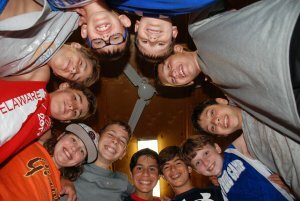 They will explore and enjoy for a few days and run a camp for children while they are there. Photos will be posted on our website. More inter-camp sports today with our U11 soccer and basketball teams and the whole camp is headed to Costa’s Family Fun Park!!! Woohoo!!! Tonight we will enjoy our 1st campfires and the Tents 2018 will reveal their Tent chant for the 1st time!!!! We are loving every second!! !